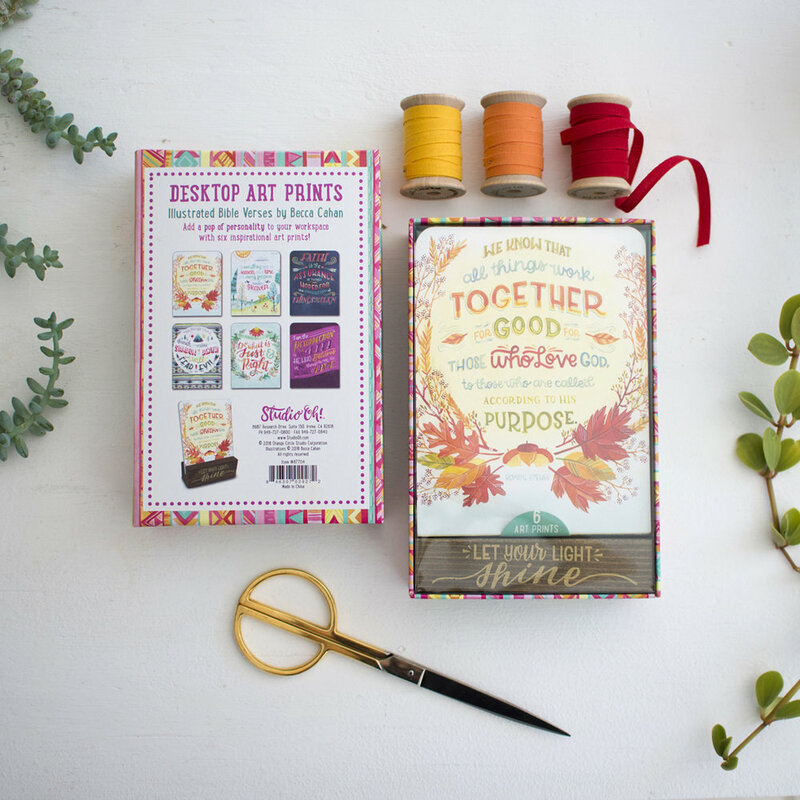 This 6 piece bible art print set was created in collaboration with Studio Oh! 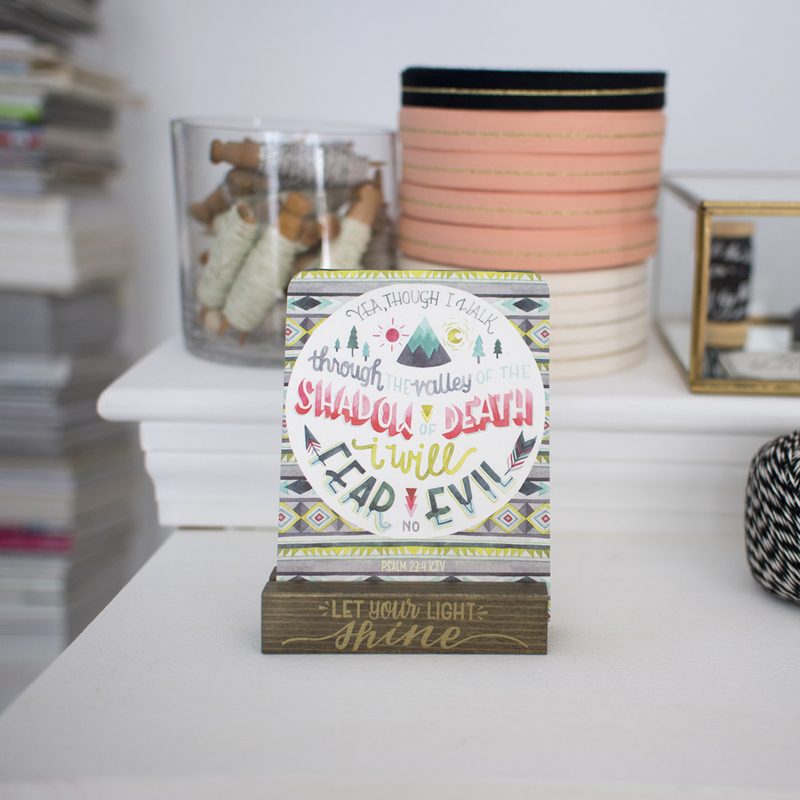 The set comes with 6 of my original illustrations printed on textured cardstock and a wooden stand decorated with gold foil reminding you to "Let your light shine" every day. Perfectly compact, these art prints are great to sit on a desk or side table as a beautiful reminder of your devotion. This product is available for sale through my Etsy shop: HERE! or to buy locally, see Studio Oh! 's list of stores their products are for sale here (keeping in mind some stores may not be listed & the stores listed are not guaranteed to sell this particular item.